When the weather turns warmer, it seems everything is better done outside: coaxing plants and flowers into aesthetically pleasing vessels, whiling away a summer day from the seat of a shady lounger, or simply hosting a group of friends for an outdoor dinner. Creating a luxurious outside area that can be enjoyed day or night will help you take full advantage of warm weather, and expands the footprint of your living and entertainment spaces. 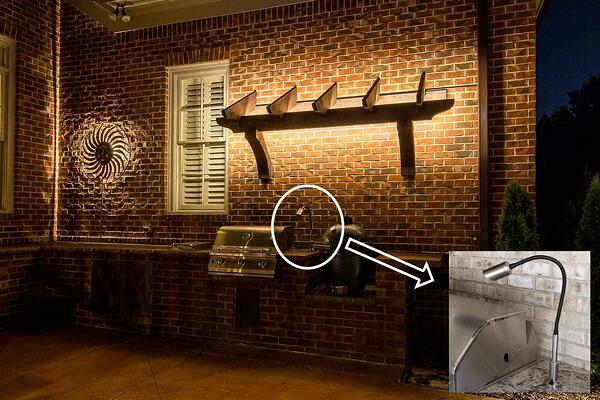 This outdoor kitchen in Brentwood, TN includes some neat details. 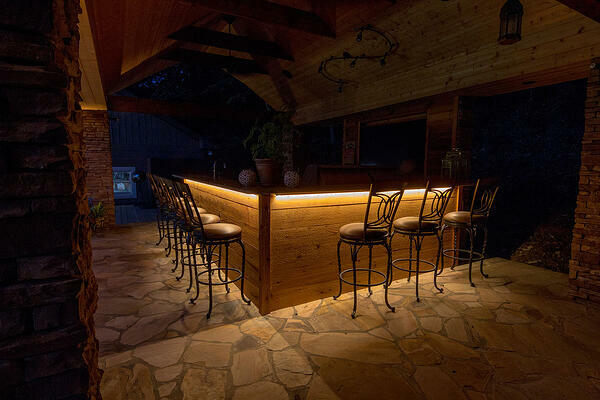 We used accent lighting on the stone columns to show off their unique textured look, and added bar lights to the grill area for functionality and design. 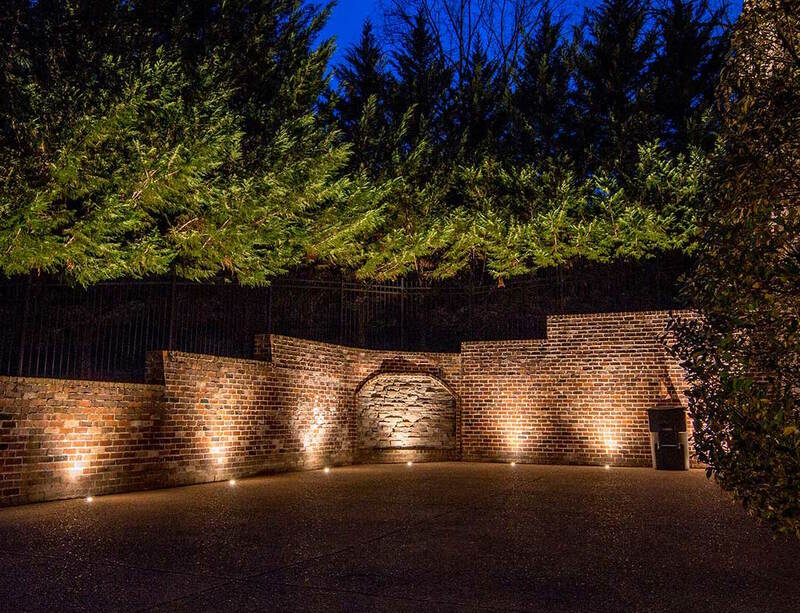 The hardscape lights in the retaining wall down the pathway guide family and guests in a beautiful, safe way. For this client in Goodlettsville, TN we utilized one of our favorite lighting elements, strip lighting, under the bar, for a clean, continuous and modern feel. The indirect light is unexpected, and effortlessly raises the aesthetics of the space. 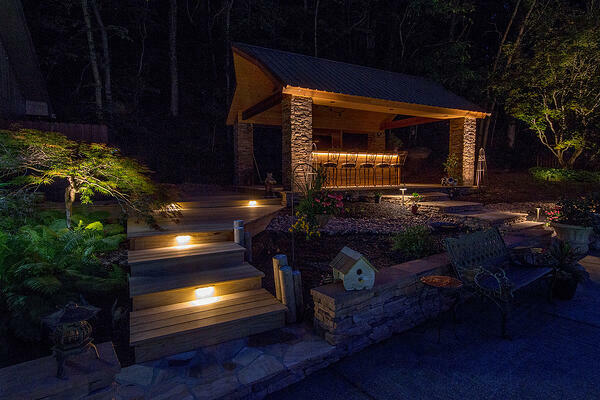 Combined with the integrated hardscape lighting on the steps and pergola, this area is ready for entertainment any time of day or night. 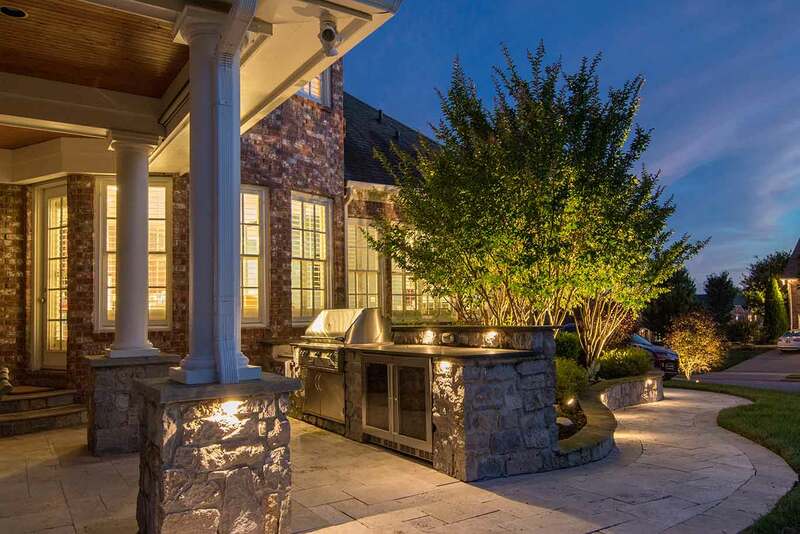 Grill lighting, a form of task lighting, is another way to expertly add appealing and functional light to outdoor kitchens. 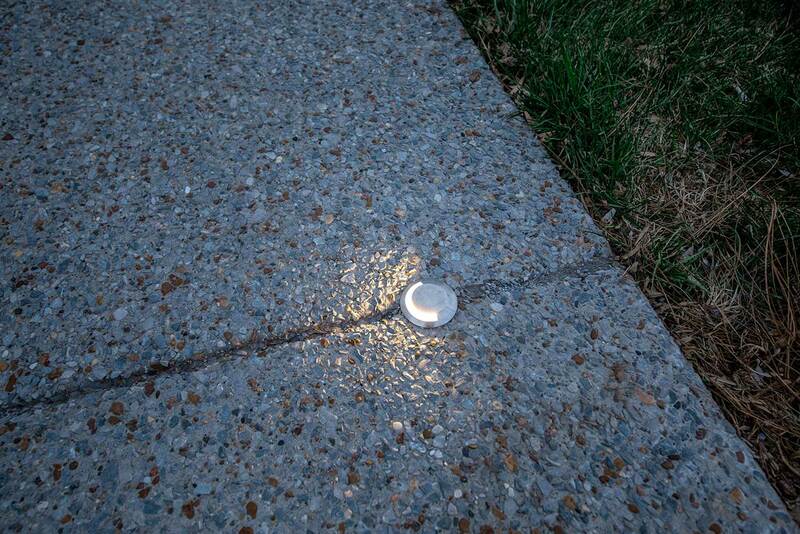 Quality grill lights will be solid, stainless steel, so they never rust or corrode. They will also include a fully articulating arm to maximize lighting control - giving you the ability to point it anywhere you need it to shine. 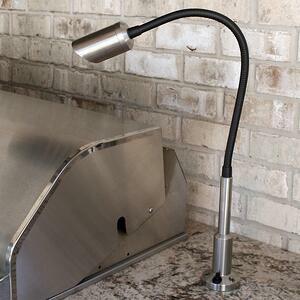 They attach right to any grill or countertop, and have an adjustable shroud to prevent light glare. The on/off button lets you control where and when you want the lighting on - even if it's incorporated into your existing lighting system. Including task lighting into an already established system will give you the functionality you need without diminishing aesthetics. This client in Franklin, TN incorporated strip lighting to their grill area behind the wooden pergola roof and behind the decorative sun art piece, and has a task light installed right next to their grill for easy nighttime cooking.